numeric attributes are stored as characters (integers/floats), causing potential problems with rounding etc. And as I am a fan of open source technology the first thing I was thinking of as an alternative is of course PostgreSQL and its extension PostGIS. It is fully supported in QGIS (there is a limited implementation in ESRI as you might see later on). The installation is described for Windows and Ubuntu users. For iOS there is this great piece called PostGIS.app that comes with PostGIS already. After that, you can start pgadmin3 with the command “pgadmin3” in the console. This will open the GUI to administrate PostgreSQL databases. Just use the File–>Add Server dialog to connect to your local running postgres database and you’re ready to go. 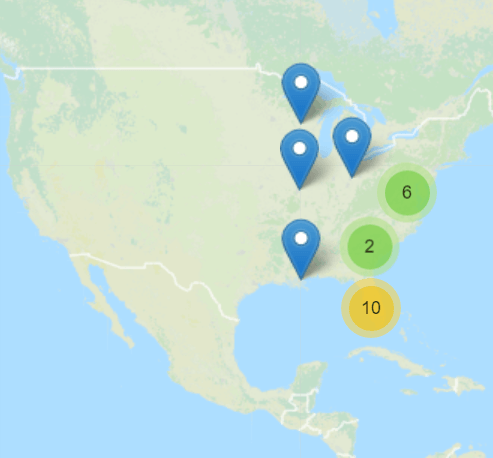 psql -c "CREATE DATABASE tutorial;"
psql -d tutorial -c "CREATE EXTENSION postgis;"
psql -d tutorial -c "CREATE EXTENSION postgis_topology;"
In this section I’ll show you how to connect with your locally running database and how to add and work with data in QGIS and ArcGIS. In the end I’ll shortly show some OSM data interaction with PostGIS. SELECT geom FROM schools; --this will create a selection with only th attibute "geom"
-c: Remove existing data from the database. This is the default if –append is not specified. -d: The name of the PostgreSQL database to connect to (default: gis). -H: Database server host name or socket location. 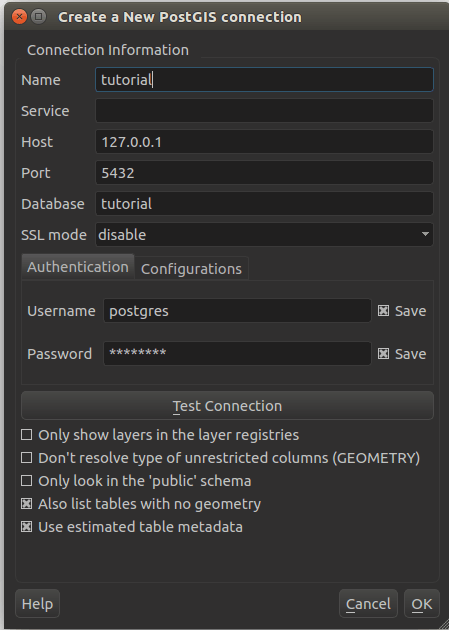 PostgreSQL with PostGIS is great!